I attended CTN for the first time this year, representing Sheridan College. Because of that, I was pretty much tied to Sheridan's table in the exhibition hall. I didn't attend any of the presentations or screenings, though I did get to walk around the exhibition hall several times. The observations that follow all relate to that. There were hardware and software vendors there, like Wacom and Zbrush. There were schools of various types offering formal and informal education. There were book dealers like Focal Press and Stuart Ng. However, the vast majority of exhibitors were artists selling their work in the form of prints, sketchbooks and collections. The quality of work was exceptionally high and the love of drawing was visible everywhere. It would have been easy to spend thousands of dollars on artwork and have years of inspiration as a result. However, it struck me that the exhibition hall was like a farmer's market where the only people buying were other farmers. It puzzled me that the exhibiting artists were not creating work that would appeal to a wider audience than just other artists. 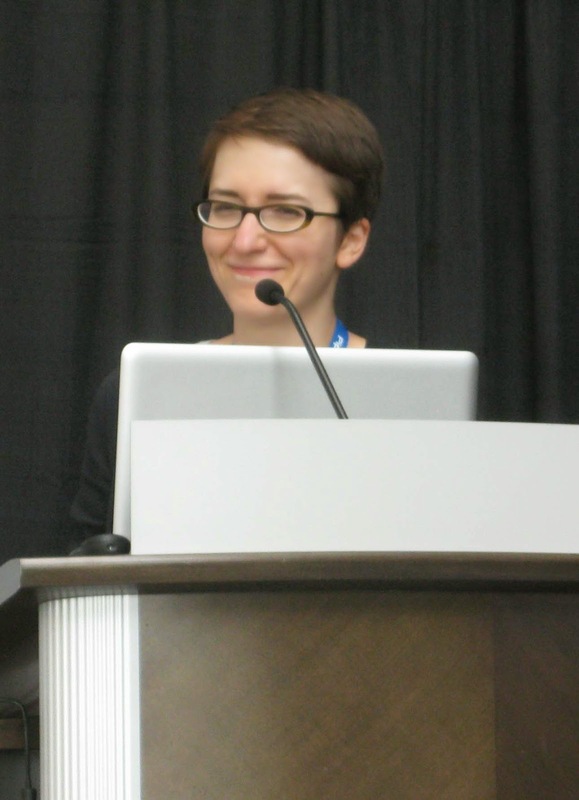 I regularly attend the Toronto Comic Arts Festival (TCAF). The people exhibiting there sell comics and graphic novels. Their audience certainly includes artists, but the majority of people who attend are the general public. The work there is something that average people, not people in the art field, might buy for themselves or purchase as a gift. This is the case even though the average quality of the artwork is below what I saw at CTN. Similarly, I've just found the Zen Pencils site. Gavin Aung Than illustrates quotes from other people about various aspects of life. While I admire his work, once again it's fair to say that his draftsmanship is below the CTN standard. Yet at TCAF and Zen Pencils, the artists are reaching a broader audience. The reason is that they are creating content, not simply demonstrating craft. There's a difference between designing a character and creating a character. While the CTN folks are great at design, a sketchbook or print lacks the narrative structure that an audience is looking for. The artists at CTN love drawing and are good at it. But in only talking to other artists, they're limiting their sales. 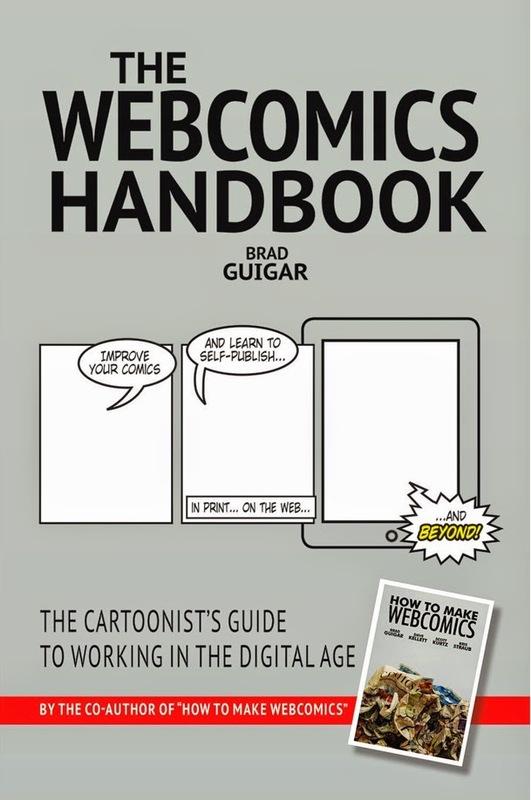 Why aren't they creating childrens books, comics, graphic novels and greeting cards that would show off their art as effectively as their sketchbooks, but also sell to a general audience? Zen Pencils shows that you don't even have to be able to write, just recognize writing that has a meaningful perspective on life. It also shows that cartooning, not just realistic illustration, can deal with subject matter that's relevant to adult lives. I don't doubt that the artists at CTN would love to see drawn animation come back. By just selling to other artists, they're doing nothing to make that happen. Only when a property catches with the larger audience will producers take note. Only when the audience is surrounded by drawings that entertain and enlighten them will there be a demand for drawn animated features. As Chuck Jones once said, "All of us must eventually do what the matador does: go out and face not only the bull but the crowd." The talent at CTN should seek out the crowd. Due to a snafu last October 6, TCM didn't run its scheduled program of Van Beuren cartoons, with guest Steve Stanchfield of Thunderbean. 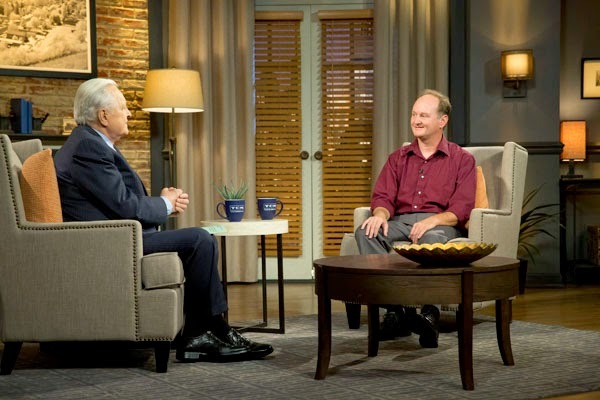 That program has been rescheduled to this Sunday, December 7 at midnight, Eastern Time. Steve wrote about the cartoons to be shown here. I've known Steve for several years and have nothing but admiration for him. Besides working as an animator and animation teacher, he also puts out fabulous DVD and Blu-ray sets of vintage animation, lavishing far more care on restoration and extras than higher profile companies do. In addition, he writes a regular Thursday column for Jerry Beck's Cartoon Research site, where he showcases historical treasures and updates Thunderbean's release plans. I look forward to finally seeing this show on TCM. On Dec. 2nd and 3rd, the National Film Board of Canada is making Torill Kove's latest film, Me and My Moulton, available for free. You can watch it here. 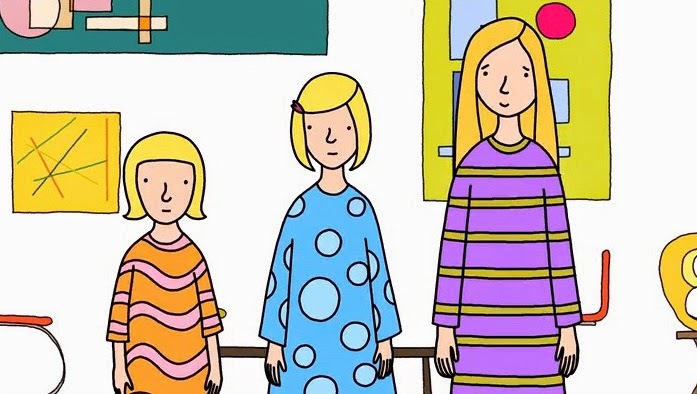 It's a droll story about growing up with unconventional parents and how being different can lead to being uncomfortable. In the event you see this entry after the free period expires, here is the film's trailer. 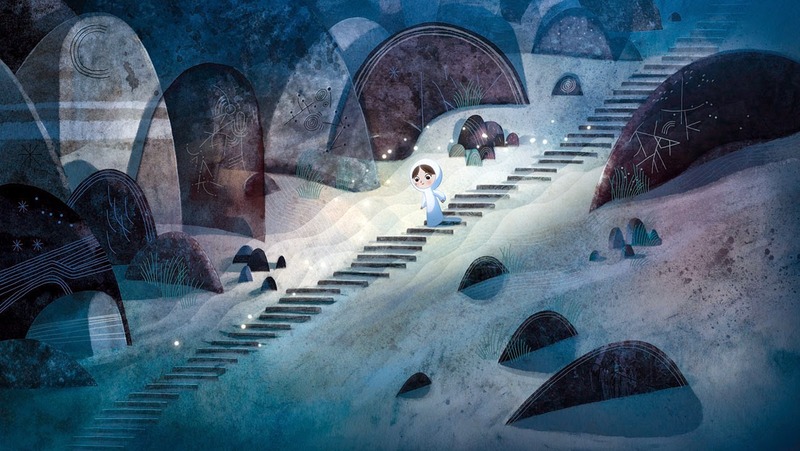 Is Canadian TV Animation Heading for a Cliff? The TV animation business in Canada is on a roll right now. There's a lot of work out there, as a glance at the job board at Canadian Animation Resources confirms. While animation in Canada includes visual effects, features and videogames, TV still makes up the greatest proportion of production in terms of employment and the amount of material produced. However, there are trends in several areas that make TV animation vulnerable. The ground is already shifting and there are more shifts to come. Television in Canada is regulated by the Canadian Radio and Television Commission. This government body determines which new channels will be allowed to exist, sets quotas for Canadian content and determines how much money from cable fees will be set aside for Canadian production. The CRTC is aware of the effect that the internet and internet TV providers such as Netflix are having on the market and have been holding hearings to determine how regulations should change. There are several possibilities being considered. One is unbundling. The CRTC has declared that certain channels such as YTV, a major Canadian animation market, are part of the basic cable package. In other words, everyone who has cable is forced to pay money towards YTV. Other channels featuring animation, such as Teletoon and Family Channel, are part of packages. You cannot buy these channels on their own. There are customers who don't care at all about animation who are contributing money towards these channels by purchasing the package they're included in. Should the CRTC unbundle, allowing viewers to purchase only those channels they want, no one can predict how this might effect the demand for animation channels. The number of cable channels using animation has expanded to include Nickelodeon, Teletoon Retro, Cartoon Network Canada, Disney XD, Disney Junior and Treehouse. Can the Canadian market support all of these channels in an a la carte world? Can studios survive if the number of Canadian buyers goes down? There is an entire generation that has replaced TV with the internet. The term "cord cutting" is used to describe people who give up cable TV, but there are many young adults who haven't had cable TV since leaving their parents' homes. Walking in Toronto, I see children in strollers playing with iPads. In a world of on-demand entertainment, does the concept of a broadcast schedule have a hope of surviving? The shrinking audience is affecting even mainstream programming. W5, a 60 Minutes-like news show has just cut production on the number of episodes for the coming season and laid off staff due to shrinking ad revenues. Many in Canada subscribe to Netflix instead of cable. No money spent on Netflix is re-routed towards Canadian production as it is with cable bills. This means that the Canada Media Fund, which funnels money towards various productions, has less to work with. Finally, there is the issue of tax credits. Ontario just had a provincial election, so the government will be stable for the next four years, but it is trying to eliminate a deficit. No poll of the general public has ever put tax credits for media production high on the list of priorities. As a result, I would not be surprised to see the tax credits frozen at best and I anticipate some amount of claw back. Certainly, they won't increase, which means that if another jurisdiction surpasses Ontario's tax credits, work will leave Ontario. While content quotas, bundling and tax credits have their place, especially for new enterprises, they turn into an addiction. Ultimately, animation has to please the public if it is to survive. Instead, too many studios have focused on satisfying regulations that generate money rather than on creating viable entertainment. I fear that they have built their enterprises on a foundation of sand. I have seen contractions in the Canadian animation industry in the past and they're not pretty. I hope that studios are preparing for changes that may destroy their current business model. To learn more about this, read Michael Geist and listen to this Canadaland podcast. Andrew Murray and Adam Hines, the hosts of the Guys with Pencils podcast, have decided to pack it in after a few more episodes. 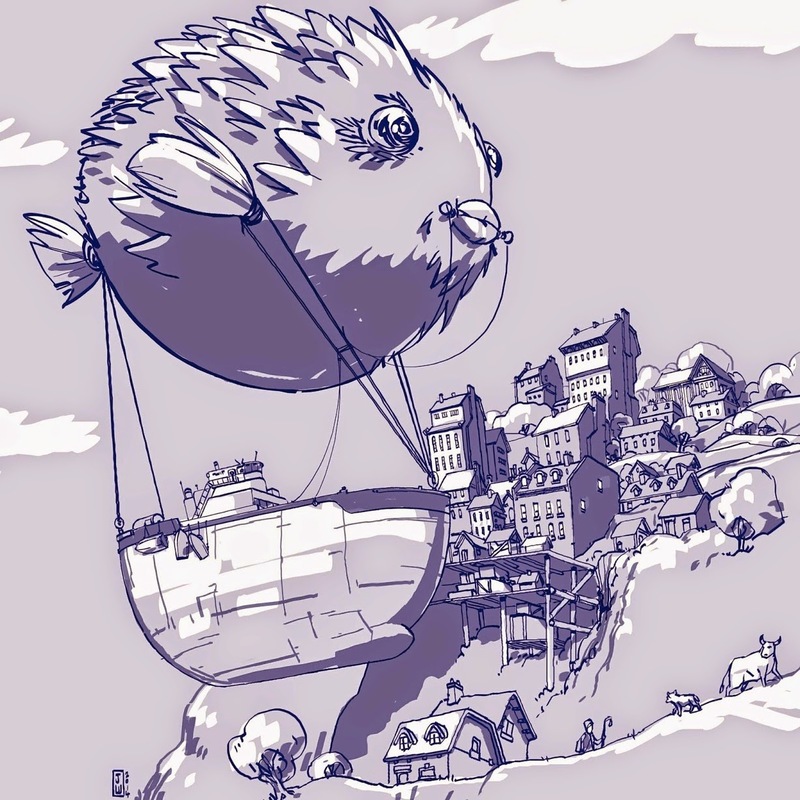 The podcast has featured people from animation, comics and games, giving the audience a chance to learn more about each of those fields and the careers of dozens of working artists. The podcasts will remain available for awhile, but if you're not familiar with them, now's your chance to cherry pick the 172 episodes (so far) for whatever artists or fields you are interested in. As somebody who has appeared on the podcast multiple times, I'd like to publicly thank Adam and Andrew for the opportunity to air my views on things like creator rights and for providing the animation community with such an informative resource. I'm sure we haven't heard the last of these two. I've watched them go from students to working professionals and I look forward to seeing what they'll accomplish in the future. A couple of business stories have come to my attention that point up the conflict between those who value profits over product and those who value product over profits. Neither is an absolute. Those who value profit need something that customers are willing to buy and those who value product need to make enough money to keep going. But there is usually a clear emphasis in most companies. Cartoon Brew reports a story that YouTube is changing the rules on how they pay contributors money from advertising. If I read things correctly, it was previously based on views. Now, it's being based on the amount of time viewers spend watching a contributor's video and frequency of uploads. 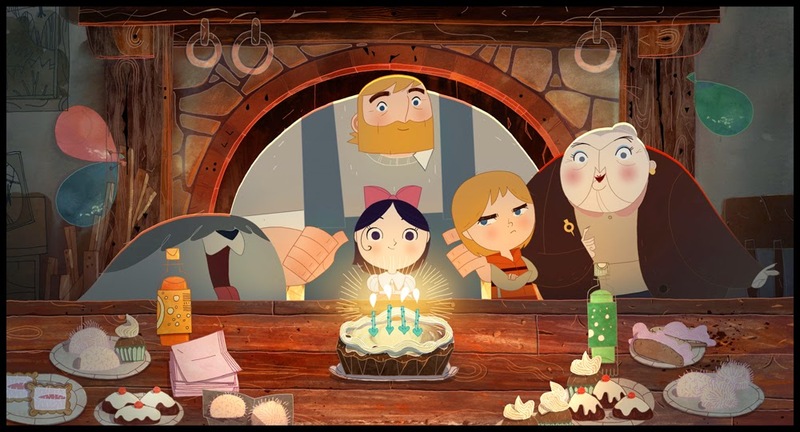 This puts animators at a disadvantage as animation takes more time than live action to produce, so animated films are shorter and contributors upload less frequently than live action producers. This is the same situation that faced J.R. Bray and Max Fleischer in the 1910s and '20s. At the time, distributors paid film producers by the foot. Film was treated like bolts of cloth or lumber. It didn't matter what was on the film, simply how long it was. While it might take as much time and money (or more) to do a 1000 foot animated film than a 2000 foot live action comedy, the animated film was only going to get paid half as much. The distributors were looking to fill up screen time. With fixed admission prices, the cost of a show had to be less than the box office take for that show, or there was no profit. A clear case of profit over product. Like the distributors of the past, YouTube is not creating the content, only distributing it. Unlike the distributors, their customers are not the public. YouTube's customers are the advertisers. Therefore, they have to keep the advertisers happy and buying ads in order to pay for all the bandwidth and servers that keep YouTube running. YouTube is blind to content. It doesn't care what is uploaded in terms of subject or quality. There's so much content there, that there is no question that there is material that advertisers will be interested in. YouTube's only interest is matching advertisers to videos in the most efficient way possible, because that's where the money is. Advertisers want viewers who spend a lot of time looking at something and who return on a regular basis, so that's what YouTube favours. While this looks like bad news for animators, there are options. I don't know if it's against YouTube's terms of service, but animators could go out and find their own sponsors and put 10 second ads at the head of their films. Or they could super "sponsored by..." over their films. Or they could seek out product placement. There are also competing video hosting sites. Animators are free to note their audience sizes and incomes and approach rival sites to see if they can get a better deal. If enough animators try this, maybe one of the rival sites will realize that there's a way to boost their audience size while hurting YouTube at the same time. Would YouTube react if suddenly their animation content dropped significantly? Comics are not animation and the story of Kitchen Sink Press is different than YouTube, but it exposes the same tension between profits and product. 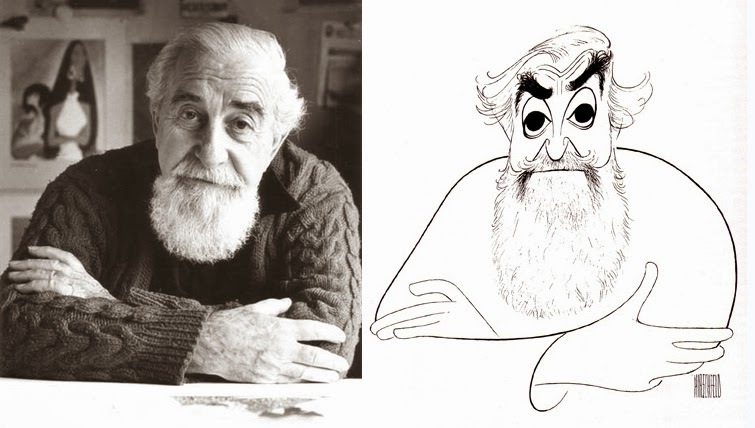 Denis Kitchen, publisher of Kitchen Sink, gave a long interview to John Cooke, editor of Comic Book Creator. A large portion of that interview is available in a free .pdf download. Kitchen started out as an underground comics publisher who eventually branched out into other comics related work, such as The Crow, Cadillacs and Dinosaurs and reprinting Will Eisner, Harvey Kurtzman and Al Capp. At one point, he was approached by Kevin Eastman, co-creator of the Ninja Turtles, to have Kitchen Sink take over Eastman's publishing company Tundra. In exchange for his financial investment, Eastman got 51% of Kitchen Sink. Eastman, like Kitchen, valued product over profit. The problem was that Eastman was a poor businessman who was losing money on several fronts, which threatened the existence of Kitchen Sink. Eastman brought in Ocean Capital, an investment group, which took 90% ownership in exchange for supplying the money to keep the company going. Ocean Capital's plan was to grow the company and take it public. While Kitchen's focus had always been on product, Ocean Capital's focus was on getting profits high enough to launch the public offering. Unfortunately, the comics business underwent one of it's periodic declines and after two years of falling profits, Ocean Capital wanted to sell Kitchen Sink or liquidate it to get out from under. Enter Fred Seibert, known to the animation community from his association with Hanna Barbera and now shows like Adventure Time and Bee and Puppycat. Seibert bought the company in a fire sale from Ocean Capital, but a turf war broke out between Kitchen and a consultant named Don Todrin. Both tried to convince Seibert of the right way forward and Seibert, worried about his investment, sided with Todrin. Kitchen was fired from the company he created in much the same way that animators Will Vinton and Phil Roman were. A year later, Kitchen's former company was bankrupt. Denis Kitchen valued product over profit, but some business decisions that backfired put the company he created into the hands of people who valued profit over product. It's a familiar story. Walt Disney valued product but Robert Iger values profit. Iger ignored the enormous concentration of talent within the Disney company and instead spent money to acquire Pixar, Marvel and Lucasfilm. The emphasis on profit has contaminated Pixar, which now produces more sequels than originals and watches Disney rip it off with the Planes franchise. Surviving in business is difficult, but when the emphasis shifts from product to profit, it rarely shifts back. Investors, as a rule, are more interested in a return than how the return is achieved. People who value product have to remain vigilant. YouTube will change its policies to suit itself and investors will demand control in exchange for their money. If somebody else controls your work, either through ownership or distribution, you're at their mercy. There's this. Then there's this. 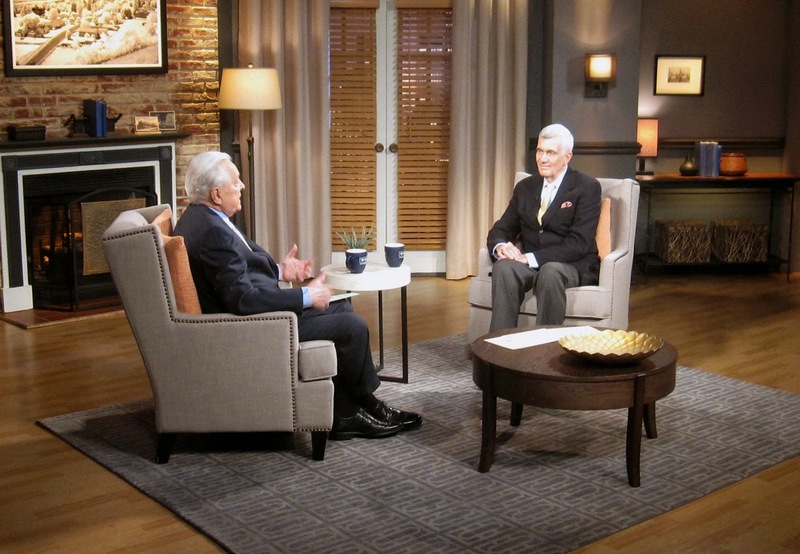 Turner Classic Movies will be featuring animation in the immediate and near future. 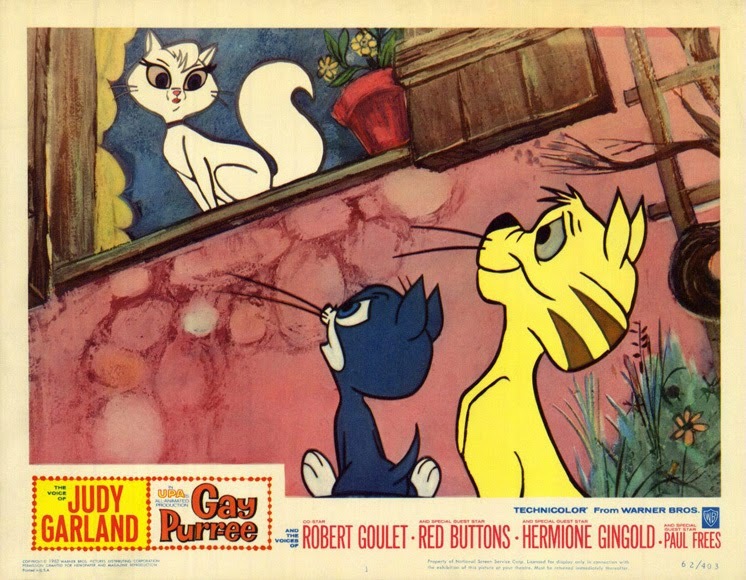 On Tuesday, Aug 5 at 4:30 a.m Eastern Time, they'll run Gay Purr-ee, a feature made by UPA in 1962, starring the voices of Judy Garland and Robert Goulet. The songs are by Harold Arlen and Yip Harburg, the team behind the songs in The Wizard of Oz, though these songs are not as memorable. The crew is a polyglot of Hollywood animation veterans from many studios. It was directed by Abe Levitow and written by Chuck and Dorothy Jones. Designers and art directors include Corny Cole, Ernie Nordli and Victor Haboush. Animators include Ken Harris, Irv Spence, Ben Washam, Ray Patterson, Grant Simmons, Volus Jones, Harvey Toombs, Don Lusk and Hal Ambro. The studios that those animators worked at include Warner Bros, MGM, Lantz and Disney. On October 6 (and I'll post a reminder closer to the date), TCM will run 10 hours of continuous animation. Starting at 8 p.m. Eastern Time, the films of Winsor McCay, with eminent animation historian and McCay biographer John Canemaker as guest. At 9:45, it's the 100th anniversary of the Bray studio, with guest Tom Stathes, who has emerged as a leading historian of silent animation. At 11, cartoons from the Van Beuren studio, with guest Steve Stanchfield. Stanchfield has become one of the premiere home video producers for animation. 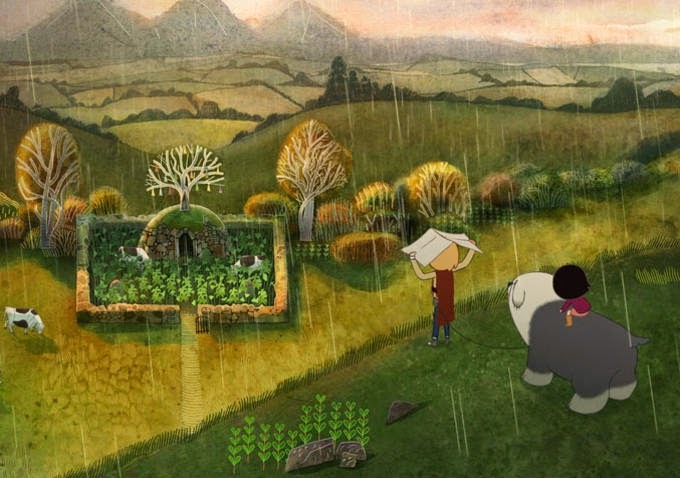 While companies like Warner Bros. are retreating from home video formats, Stanchfield is upping the output of his company Thunderbean Animation. His latest release is Technicolor Dreams and Black and White Nightmares, which includes a color copy of the first three strip Technicolor cartoon, Ted Eshbaugh's The Wizard of Oz. 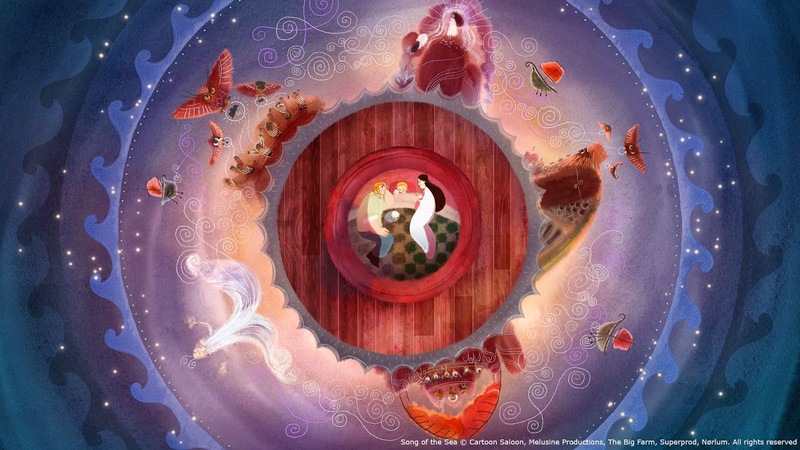 The balance of TCM's night consists of four animated features. Lotte Reineger's The Adventures of Prince Achmed is on at 12:15 a.m, Max and Dave Fleischer's Gulliver's Travels is on at 1:30, Toei Animation's Magic Boy is on at 3 and Chuck Jones' The Phantom Tollbooth is on at 4:30. 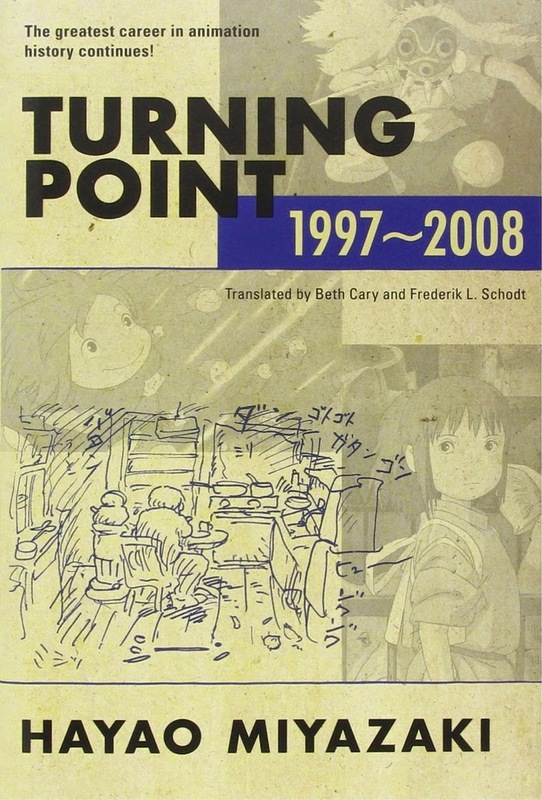 Turning Point is the second collection in English of interviews and writings by Hayao Miyazaki. It covers the period from Princess Mononoke to the pre-production of Ponyo. The breadth and depth of Miyazaki's interests are on display here. 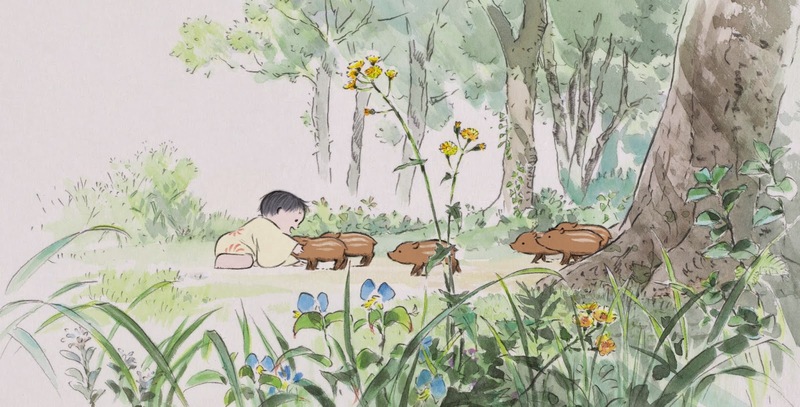 Where North American animators talk about the craft and the history of animation, perhaps also speaking of live action films, Miyazaki ranges much farther afield. His interests include literature, Japanese history, social class, gender roles, consumer capitalism, geography, nature, environmentalism, economics, child rearing, mythology, religion and comparative religion. Miyazaki is conscious of his need for knowledge. "It's up to the individual whether one reads books while a student, but the penalty for not reading will eventually come around for the individual. Increasing numbers of people think knowledge and cultivation are not strengths, but ignorance is, after all, ignorance. No matter how good-natured and diligent you are, if you don't know about the world around you it means you don't know where you are. Especially in our age, when each of us has to think about where we are going, there will be a heavy price to pay for ignorance about past history." Miyazaki reflects on the people who enter the animation industry. 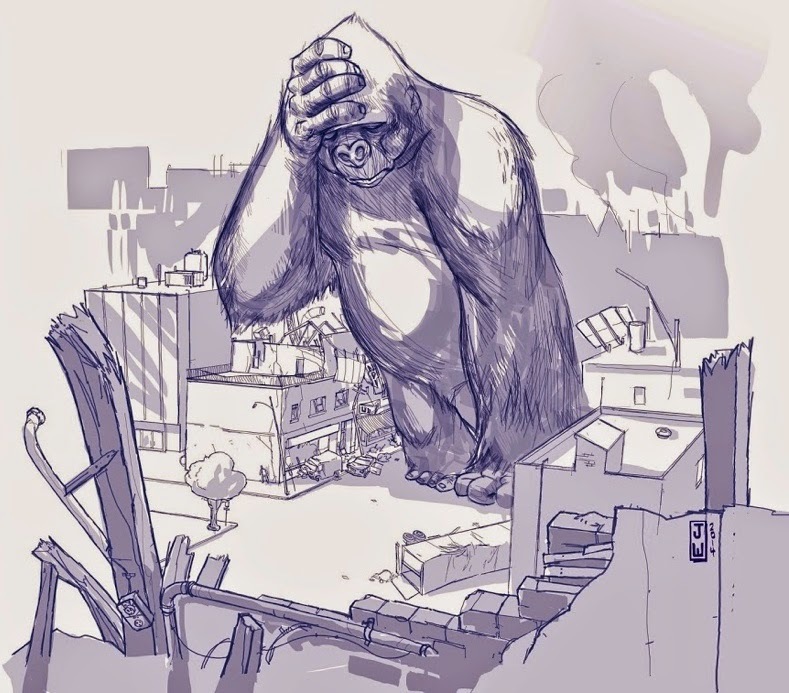 "We animators are involved in this occupation because we have things that were left undone in our childhood. Those who enjoyed their childhood to the fullest don't go into this line of work. Those who fully graduated from their childhood leave it behind." The people who talk to Miyazki are not just reporters. They include authors, academics and scientists. It is a sign of the respect for Miyazaki and his films that he is not considered just an entertainer, but a social commentator with important things to say. It is Miyazaki's curiosity and wide-ranging knowledge that makes his films so satisfying. He's not focusing on the box office or on story formulas. 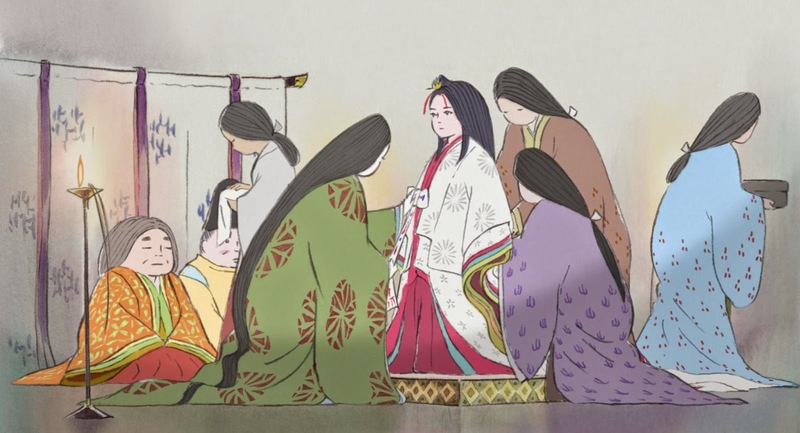 He uses his films to try to figure things out and the uncertainty as to whether characters or events are good or bad lends a complexity to his films that is completely lacking in North American animation. He says that American films "seem too manipulative, so I hate to give into that and get all excited. And with splatter films, as soon as the music starts warning us about what's coming up, well, they just make me want to leave the theater." "[People] delude themselves into thinking films are all about identifying with something and finding momentary relief in a virtual world. But in the old days, people went to see films to learn about life. Nowadays, when you go into a supermarket, you're presented with a dizzying array of choices, and, similarly, people think of the audiences for film as consumers who just grumble, or complain about things being too expensive or not tasting good. But I'm not creating something just to be consumed. I'm creating and watching films that will make me a slightly better person than I was before." The seeds of future work are revealed in some of these interviews. In an interview about cities made at the time of Mononoke, Miyazaki says, "I would like to see an expansion of workplaces for [older people] rather than insisting they have a comfortable old age. A town where everyone, from children to the elderly, has self-awareness and a role as a member of the community is a town full of energy." He's describing one of the main themes of his yet-to-be-produced feature Ponyo. 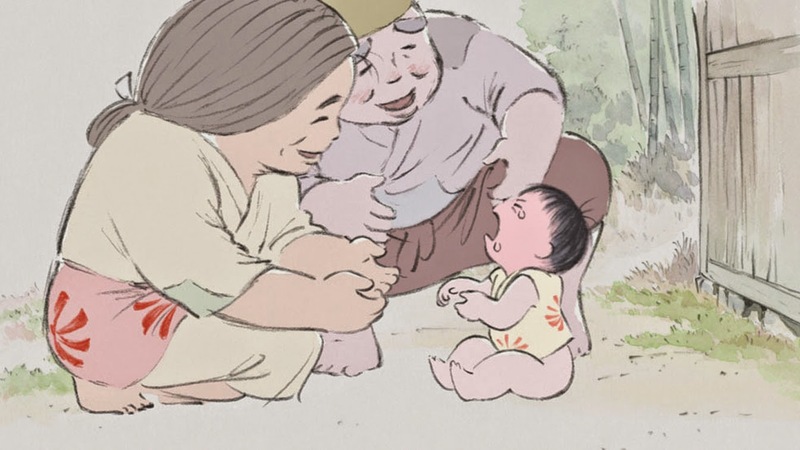 In writing about the 1937 book How Will Young People Live by Genzaburo Yoshino, Miyazaki reveals concerns that he dealt with in The Wind Rises. Both are set in the Showa period leading up to the second World War. "When Yoshino poses the question of 'How will you live?' he means we should go on living, despite all our problems. He isn't saying that if we live in a specific way that the problems will disappear and everything will be fine. He is saying that we must think seriously about things and that, while enduring all sorts of difficulties, we must continue to live, even if ultimately to die in vain. Even if to die in vain. Yoshino was unable to write directly about the violence of his times, so all he could tell us to do when such times arrive is to keep living without giving up our humanity. Genzaburo Yoshino-san knew that was all he could do." I have one disappointment with this book. The period of articles that date from the period when Howl's Moving Castle was produced do not cover that film at all. It is a problematical film for me, and I was hoping that there would be a clue as to Miyazaki's thoughts that would serve as a key to that film. At the time, Miyazaki was also involved in the creation of the Ghibli Museum and the day care centre for Ghibli employees. Did these distract him from Howl? Unfortunately, this book gives no indication. I sincerely hope that there is a third volume, as I am interesting in reading what Miyazaki has to say about The Wind Rises. In any case, this volume, and the earlier Starting Point, are essential reading for anyone interested in animation and particularly for those in the field. Miyazaki's erudition shames us. 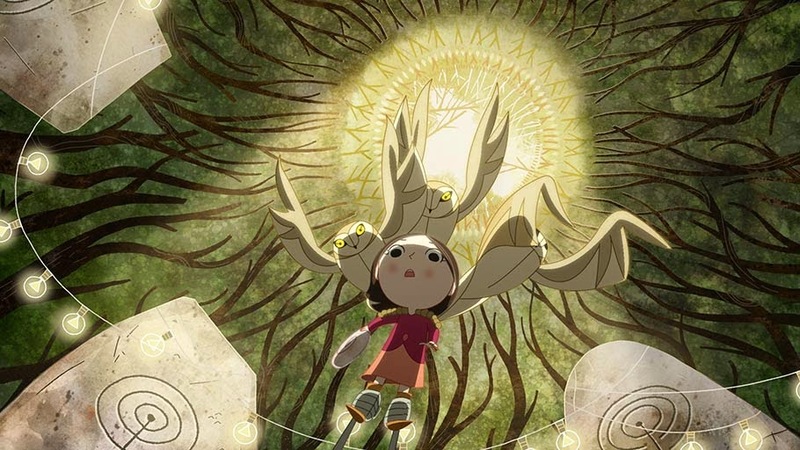 While many of us call for North American animation to break free of genre conventions, it will take more than wishes for it to happen. It will only happen when animation artists engage more with the world as it is and let that be reflected in their work. In my experience, the hardest thing to cultivate in a studio and the easiest thing to destroy is enthusiasm. When the staff feels that the studio is dedicated to turning out good films and is providing the crew with opportunities to do their best work, the employees give extra effort. When management says one thing while doing another, cynicism quickly sets in and every move or statement by management is viewed with suspicion. The recent revelations that Ed Catmull was a willing conspirator to hold down wages and limit employment opportunities destroys his credibility as a manager. While his contributions to the development of computer animation technology are untouched by this, his leadership credentials now lie in ruins. While his book Creativity, Inc. has been praised by reviewers, my friend James Caswell says that it should be shelved in the fiction section. Pixar has been very effective in keeping their internal workings from the public. There aren't Pixar employees contributing to message boards or commenting on blogs. Even those people with reason to complain, like Jan Pinkava and Brenda Chapman, have been circumspect. Perhaps that's because the field is so small they didn't wish to burn bridges or perhaps there were settlements paid with silence as a condition. But within Pixar, what's the mood? Can any statement or policy from Catmull be treated as genuine now when the staff knows that he has been picking their pockets and limiting their prospects? Has his authority been neutered? Will Robert Iger ease him out as a way of reassuring the staff, or worse, leave him where he is and act as if nothing is wrong? And what about John Lasseter? What did he know and when did he know it? Are there emails that implicate him as well? Did he ever disagree with the policy or did he just accept it? Regardless, he has profited from it. Pixar's profits have increased the dividends and the price of Disney stock, making Lasseter richer. Pixar's employees have paid for a portion of his winery. Will this hasten people to leave the company? Will it cause animation artists and students to think twice before applying to Pixar or the other studios involved in the conspiracy? Will this push some employees or former employees to go public with their grievances? As we don't know what's going on in Pixar, this may be a tipping point or the staff may just ignore it and keep working. However, in the 1930s when the world was celebrating Walt Disney, conditions in his studio were deteriorating, eventually resulting in the strike that changed the company forever. We may have to wait years until some Pixar employees retire or leave the field before we get a sense of how this was received within the company, but eventually the truth will come out. The media love to build people up and then tear them down. I'm guessing that it's just a matter of time before Pixar is in their sights. Certainly the company has given them ample reason to take aim. Anyone interested in Ford knows that starting with his 1939 releases, he made a series of masterpieces. What is surprising is that immediately preceding that amazing run, his 1938 releases are so little known. Regarding Four Men and a Prayer, Ford told Peter Bogdanovich that "I just didn't like the story, or anything else about it, so it was a job of work." The DVD release of the film in the Ford at Fox collection has not prompted anyone to champion the film. For reasons that I don't understand, Ford's other 1938 release, Submarine Patrol, was omitted from the Ford at Fox collection. Submarine Patrol can almost be considered a lost Ford film. It's never legally been available on VHS or DVD. John McElwee, of the essential blog Greenbriar Picture Shows, doesn't believe the film has run on the Fox Movie Channel and says that the film lost $132,000 on it's initial release, so it was never particularly popular. I wouldn't say that Submarine Patrol is first- or even second-tier Ford, but it is unmistakeably his work. It looks back to films like Men Without Women, Seas Beneath and Up the River and looks forward to They Were Expendable, When Willie Comes Marching Home and Donovan's Reef. Anyone familiar with Ford would immediately recognize it as his work from the supporting cast and the style of humour. While it doesn't come together into anything you could call great, Ford's themes and approach are strong throughout the film. 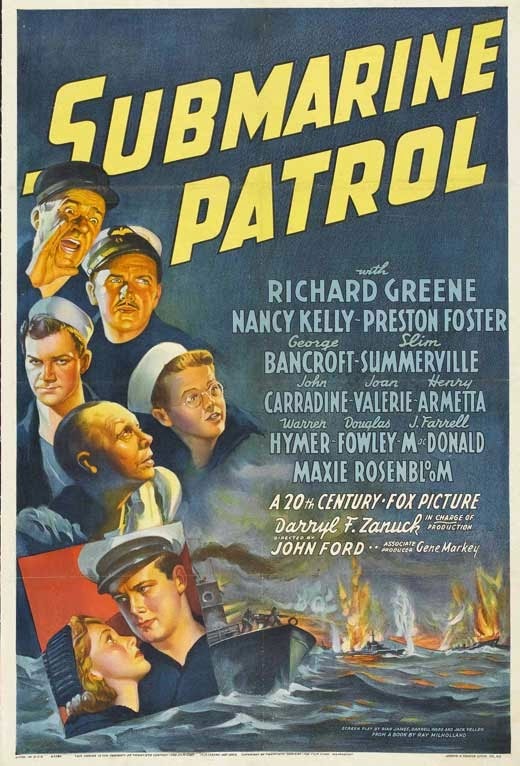 While Four Men and a Prayer may have been an obligation to the studio, Submarine Patrol was a film that Ford was interested in making. By 1938, Ford was already in the U.S. Naval reserve, and one of the freighters in the film, the Maria Ann, sails out of Portland Maine, Ford's home town. I will recount the plot simply because the film is so little known. During World War I, a rich socialite named Perry Townsend, played by Richard Greene, joins the Navy expecting to be assigned to an impressive ship. Instead, he's assigned to be chief engineer on a 110 foot wooden submarine chaser manned by a crew of recruits who lack discipline. Lt. John Drake, played by Preston Foster, was responsible for letting a destroyer run onto the rocks while on watch and was court-martialed for it. Now, he's assigned to the same submarine chaser and has the job of getting the crew into shape. Townsend meets Susan Leeds (Nancy Kelly), daughter of a freighter captain (George Bancroft), and falls in love with her. The captain thinks his intentions are dishonourable in the parlance of the time and is against their relationship. Susan's resistance to her father foreshadows Mary Kate Danaher's resistance to her family and husband in The Quiet Man. Through various plot twists, Townsend, Drake and the captain all end up on the sub chaser when they go on a mission to sink a German submarine. Drake is commended for the action, and the captain approves of Townsend's marriage to his daughter, but the necessities of war prevent it. Duty comes first, though Susan pledges to wait. The plot elements are hardly novel. The disgraced officer who regains respect and the rich kid who learns discipline to become a team player were not new even in 1938. The same plot elements would be used in many movies made during World War II just a few years later. Ford doesn't do much to add depth to either of these plots, and I suspect it's due to the actors he's working with. The best performances in Ford films come from actors who are capable of expressing their thoughts through their facial expressions. Think of Ma Joad in The Grapes of Wrath preparing to leave her homestead for the last time. Ford consciously pushed his actors in this direction. 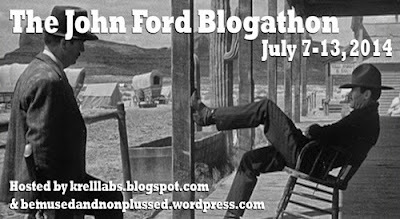 In Stagecoach, he changed John Wayne from someone who spouted expository dialogue in B movies to a performer silently exposing his innermost thoughts through his reactions. While Ford had worked with Preston Foster in The Informer and The Plough and the Stars, Foster was an actor whose emotions don't go very deep. There's no complexity or subtext to his performances. Richard Greene is even worse. His dialogue delivery is all at the same pitch and the same tempo; there's little modulation in how he delivers his lines. While he is handsome, his eyes are not expressive. There are shots towards the end of the film where Greene and Bancroft are both in the engine room of the sub chaser while it is traveling through a minefield. The contrast in their performances is striking. Ford gives extended close-ups to Bancroft because Bancroft's love for his daughter and the danger of his situation read clearly on his face. Greene's face reveals no comparable emotion. Knowing that he couldn't add depth to the main stories, Ford concentrated on the supporting cast to add comedy and Fordian grace notes. That's where the value of this film lies. The supporting cast is full of Ford's stock company of the time. John Carradine, Ward Bond, J. Farrell MacDonald, Jack Pennick, Slim Summerville, Warren Hymer, Harry Tenbrook and Harry Strang had all been in previous Ford films. Charles Trowbridge would appear again in later Ford films. Elisha Cook, Jr. might have become a Ford regular but for an accident during filming that upset Ford. Cook's bandaged left thumb can be seen towards the end of the film. Ford's comedy is broad and knockabout. There are gags about sea sickness, Navy food, malapropisms, slot machines, drinking and "The Monkey's Have No Tails in Zamboanga" is sung as in many of Ford's Navy films. J. Farrell MacDonald, 63 years old at the time, leads the men in calisthenics, jumps a rope railing and knocks out a complaining seaman. A subplot with Maxie Rosenbloom has him stealing Richard Greene's initial girlfriend and winning a slot machine jackpot, a gag later used in Donovan's Reef. Slim Summerville is the main comic relief, playing a sad sack Navy cook, who claims everything he serves is lamb stew and is so dumb he throws garbage into the wind. Henry Armetta plays an over emotional waiter who cries when he's happy or sad. Everyone except the lead characters adds humour to the film, and often just a facial expression is enough to provoke a laugh. There are two sequences where Ford evokes melancholy emotions. When the sub chaser leaves New York to head out to sea, the crew stares at the shore, remembering parts of their past lives and aware that they may be saying goodbye permanently. Later, when the sub chaser successfully destroys a German sub, a sailor asks Jack Pennick if they should cheer or something. Pennick says no and salutes his fallen opponents. Ford previously had Germans salute a fallen American in Seas Beneath. Even in victory there is loss, and loss is a recurring theme in Ford's work. As in They Were Expendable, the enemy is never demonized; death is something to be respected, not celebrated. Submarine Patrol deserves to be better known. It's a pleasant film for casual viewers and full of Fordian moments and humour for fans of the director's work. Let's hope that Fox releases it on DVD or at least runs it on their movie channel. 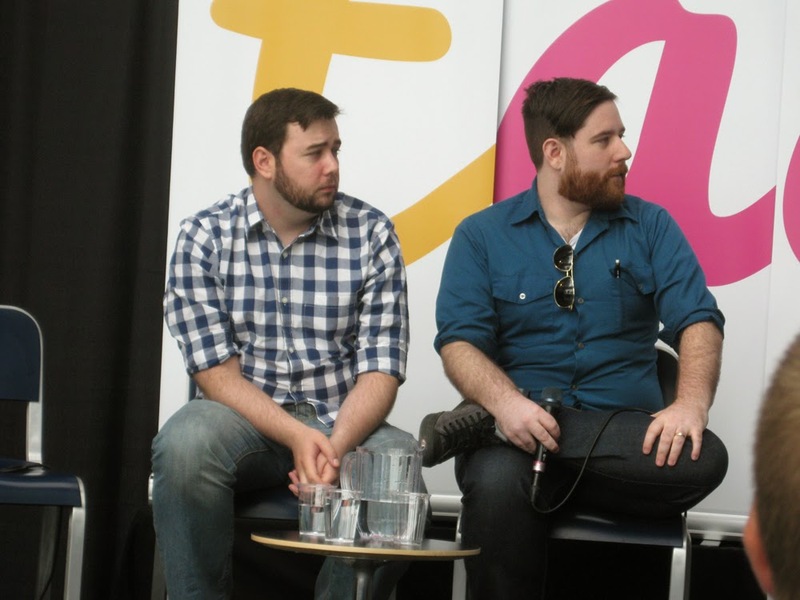 The final day of TAAFI was devoted to industry panels. 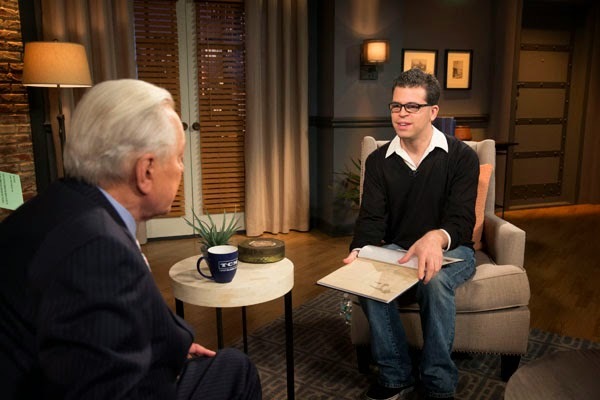 It started with DreamWorks supervising animator Rex Grignon recapping his career. This was followed by The State of the Industry panel. While I understand that TAAFI has to keep good relations with its sponsors and the industry, this panel could better be called The Conventional Wisdom panel. Rather than discuss the real state of the industry, it deals with what everyone thinks the world looks like at this particular point. Nobody talks about the challenges that Canadian animation is facing or challenges the direction that the industry is going. George Elliot made the point that in the past, the industry was more about service work and didn't pay much attention to building brands. Now, there is less service work and studios are working harder to build brands. While this is accurate (and not to dump on George, who is one of the more successful independent studio owners), it ignores the myopia of Canadian studios for the last 25 years. While American studios were building worldwide franchises around shows like Dora the Explorer, Spongebob Squarepants, and The Powerpuff Girls, Canadian studios focused on working the tax credits and Canadian content rules to get shows on the air. Once the show it 52 or 65 episodes, it was retired. Instead of continuing to build a franchise to the point where it could support merchandising, studios walked away from shows. As viewers are abandoning broadcast and cable TV, Canadian content rules are becoming less and less useful. Now the Canadian animation industry is heavily dependent on the existence of tax credits to fund production. There is no guarantee that those tax credits will survive or won't be superseded by larger tax credits in other countries. As usual, the Canadian industry is always using a crutch to stay in business. Rather than using the crutch as a way to get strong enough to survive without government regulation or largesse, the industry is addicted to the government propping it up in one way or another. So long as the short term is covered, Canadian producers are satisfied. Are there any studios strong enough to weather the withdrawal of government support? Would TAAFI be able to stage a real discussion or debate about the state of the industry? 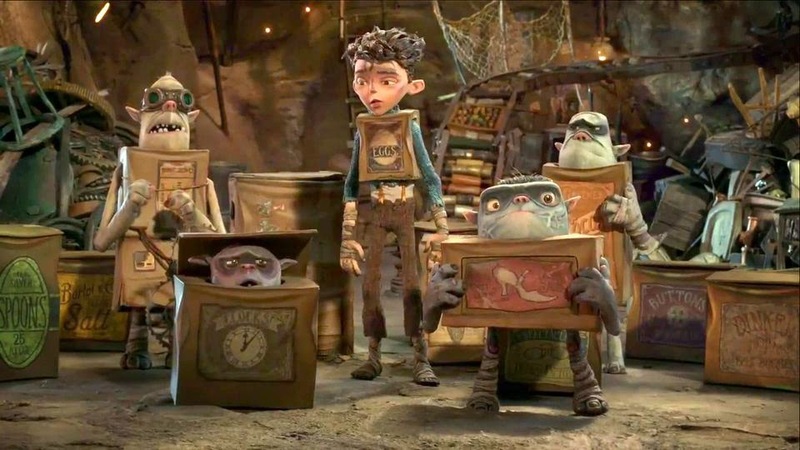 Vera Brosgal presented a panel called The BoxTrolls: A Case Study. The talk was actually more about Coraline and Paranorman, but was still a very enjoyable look behind the scenes at Laika. 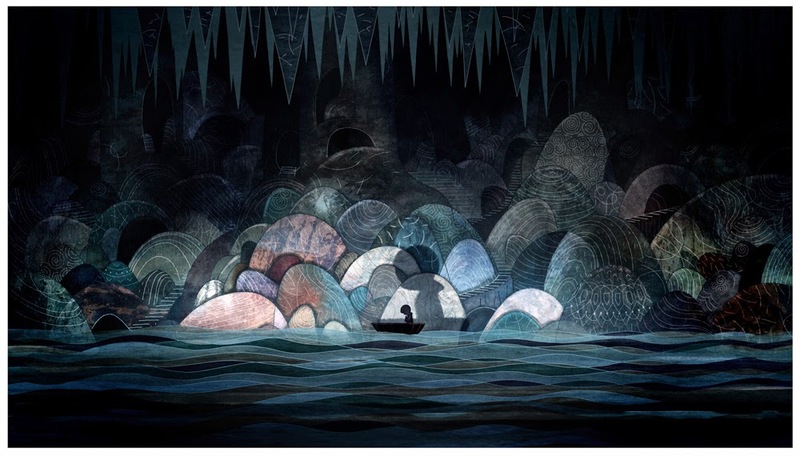 Brosgal showed some of her storyboards as well as images of the various departments at Laika. Ayah Norris of Indiegogo gave an excellent talk about crowdfunding and the best way to orchestrate a crowdfunded campaign. She revealed that Indiegogo takes 7% as their cut for projects that fulfill their goals and talked about how it is best to know you can quickly get to 30% of your goal before launching the campaign. The best perks are those that can be delivered digitally, as they are the most cost efficient, and she stressed that the cost of the perks should be calculated before the goal is set. She mentioned that any dispute, say for non-delivery, was between the contributor and the project. Indiegogo takes no responsibility for projects that don't deliver. This is the Achilles' heel of crowdfunding. While the amounts donated are generally low, they are a 100% risk. I've donated to several crowdfunded campaigns that have not delivered their promised perks or did not get completed. That was my TAAFI for this year. There were many panels and screenings that I did not attend, so others may have very different opinions. I think TAAFI is still trying to figure out who its audience is. There are events for fans, students, and professionals. The Animarket is a case in point. It was free, which was an excellent move, but I suspect that artists looking to sell their work were disappointed relative to their experiences at Anime North or Fan Expo. The studios there to recruit and the hardware/software vendors were probably pleased with the response they got. I'm sure that the TAAFI management will be evaluating the Animarket results and adjusting accordingly. Here are some suggestions for future TAAFIs. While the venue was good, being located on Lake Ontario at Corus and George Brown College, the food choices were severely limited. I hope that if TAAFI continues in this location that they do something about this. The industry panels should be moved to a weekend day so that people would not have to lose a day of work to attend them. There should be a separate pass for just the industry panels and also a separate pass for just the screenings. While TAAFI is still suffering some growing pains, it is an excellent festival and one of the few events that unite the Toronto industry. I look forward to future editions and I'm confident that it will continue to improve. Supreme Court to Rule on Jack Kirby Case? 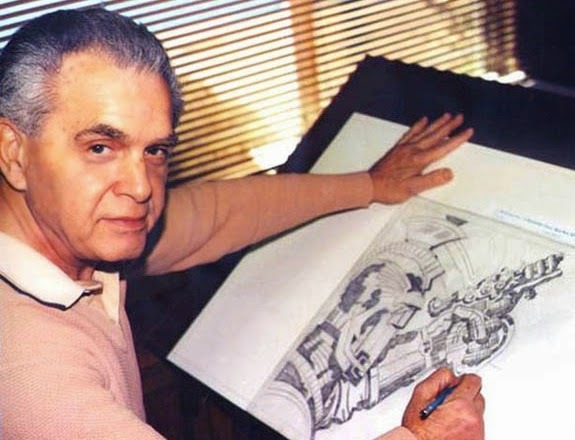 Readers of this blog know of my interest in creator rights and the work of Jack Kirby. 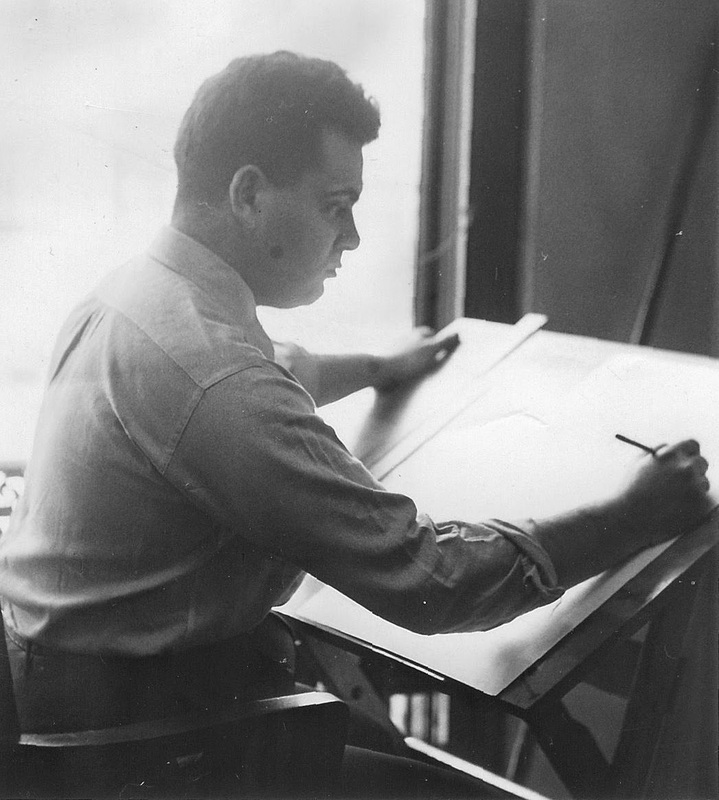 Kirby was one of the most prolific comic book artists of the 20th century. It's not just that he turned out an enormous amount of work, it's that he created more characters - both heroes and villains - than anyone else. At the time he did his work, the comic book business was run by people with questionable ethics and business practices. As a result, Marvel does not have a clear title to the characters Kirby created and Kirby's children have fought in court to recover the copyrights to their father's work. So far, the courts have ruled in Marvel's favour. However, the issue is not yet resolved and the Supreme Court of the United States will soon decide whether to hear the latest appeal. In the corporatist time we live in, I'm skeptical that the court will rule against Marvel and Disney, but there is still a chance. The Hollywood Reporter has the latest on this case and it is worth reading. If you create material that you pitch to broadcasters or studios, you own the copyright to your work. While the thrill of a sale can be overwhelming, don't lose your copyright without fully understanding the repercussions. It is the single most valuable part of your creation. If Jack Kirby owned the copyright to his characters, his life would have been very different and each of his four children would be multimillionaires. Instead, Disney is not paying the estate when they reprint Kirby's work or when they make blockbuster movies featuring Kirby's characters. Creative people need to understand what happened to Jack Kirby (and Jerry Siegel, Joe Shuster, and Bill Finger) in order to prevent it from happening to them. Educate yourself. Update: The Hollywood Reporter says that the actors, writers and directors unions are filing briefs in support of the Kirby case being taken up by the Supreme Court. The article points out that the case could have repercussions for the music industry as well.